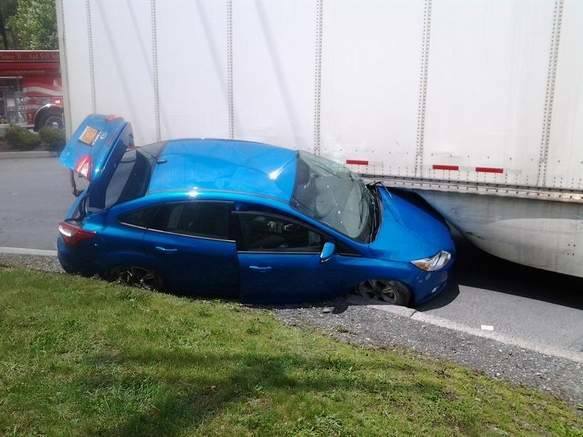 Earlier today in NY a sedan became wedged under a tractor trailer. 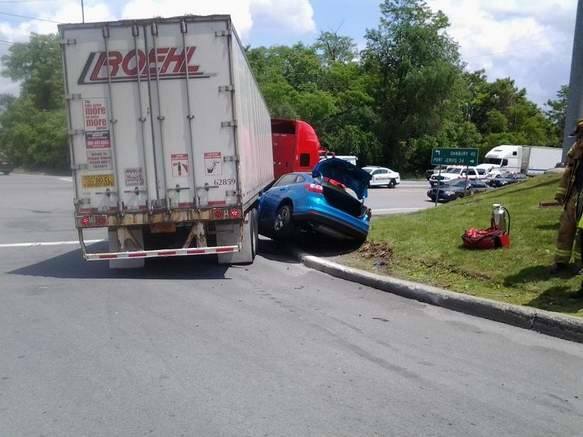 As the pictures show no extrication was required as there were no injuries however in the event of the need for extrication there are a few components to a safe and positive incident. In this case stabilization would be the essential element for a successful operation. The wedge the sedan creates between the trailer and the ground could effect how the vehicle would react for every cut made displacing the vehicle. Newton’s Third Law of Physics states “for every action there is an equal reaction force” which would dictate how rescue operations would have to deal with the vehicles involved. By stabilizing and shoring the vehicles adequately it would allow for crews to better control how the vehicles may reach while being worked on. Next Penciling…is it really effective?